In response to my last post on how to keep a man happy, a friend shared this. Way too good not to share. give her lots of space, never worrying about where she goes. That’s it ladies. It’s not really any more complicated than this. Today, I went to the local barber shop for a haircut. For $1.50 not only did I get a good haircut but a head massage (champi in local lingo) thrown in for a good measure. This was the first time I have been to this shop. It was nothing special. Couple of simple barber chairs and a bench for waiting customers, newspapers, and an old TV playing bollywood music. Most people including couple of barbers were smoking and drinking tea while shaving and giving haircuts. The conversation was omni-directional with no clear goal or topic. But all in all it was a lively atmosphere and every one seem to know every one else. Barbers and other customers were very curious about me, the new customer. Without any hesitation the question were directed towards me with in few minutes of entering the shop. They wanted to know all, where I came from, why here, what I do, how much I make (Indian’s love asking that question), family life etc. I was some what expecting it so was well prepared for the assault. It lasted no more than 5 min. They were not in a particular hurry as it was quickly established that I will be a repeat customer. They will have plenty of time later to grill me. The interesting part was that they freely started offering information about everyone in the neighborhood. Names, addresses, family, profession, income (or best guess), assets, who is seeing whom and all other forms of gossips were a fair game. More intelligence than one could ever get from professional private detectives. By the time the haircut and Champi was done, I was a well established member of the group. I was offered the tea and the promise to help in anyway they can because I had just replanted to India. It reminded me of the uncles and aunts that I made during early days of moving to India. This was probably the most efficient social network I have ever come across. Within a span of 30 minutes I went from a total stranger to a part of the neighborhood and learned a lot about it. Facebook and Twitter got nothing on it. 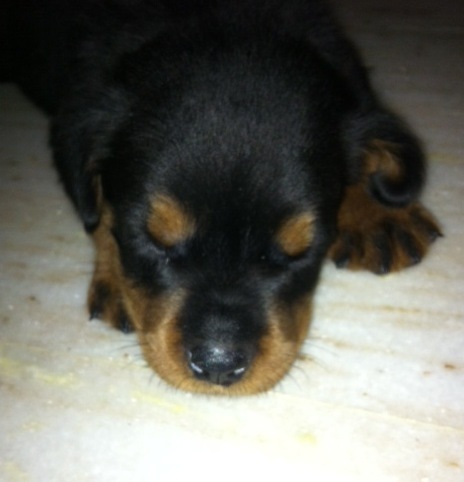 The new addition to the family, a one month old Rottweiler puppy. He is already active and seemingly unfazed by the new sounds, people and locations. He is quickly adjusting to the lifestyle from riding in the Thar to chasing the pigeons. Soon he will move with me to the farm to be the companion and to guard. 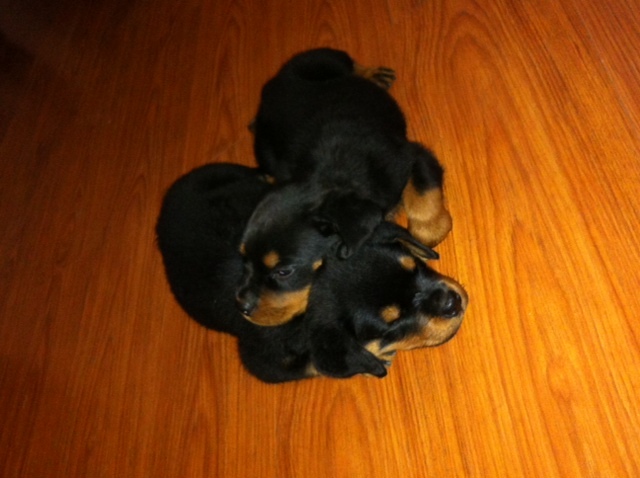 Many people advised against a Rottweiler due to its apparent aggression. However, I do believe that a dog is not inherently aggressive. It takes on the personality of the owner/handler and simply reacts to the environment around him. It is all a matter of his training and upkeep. Rottweiler like any other dog is not born dangerous. People make him so.